While the nation smoothly transitions from falls to winters, the dull valleys full of leafless trees seem as if they are missing the colourful autumn more than us. 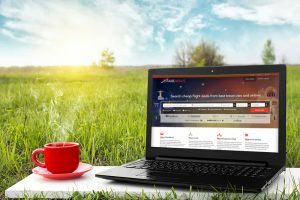 Though, it stays cloudy and rains a lot however if you are getting bored and need a place to hang around, the Ontario province of Canada might just be the best place to land. The province is named after the ‘Lake Ontario’ one of the great five freshwater lakes in North America what connects a huge land area to the Atlantic Ocean through its many rivers. Overall, this heartland province is a perfect place for many indoor and outdoor activities. 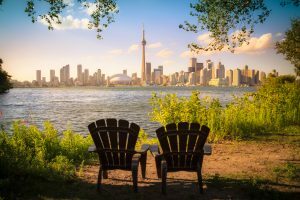 Ontario is a happening province with a lot to explore around, however, we are listing a few of the cool spots that will connect you to nature and spare you some time from the big rush of the cities. Horseshow falls is the largest among the three waterfalls on the forming Niagara Falls. It is also known as the Canadian Falls, a wonderful tourist destination. The ferries arrange trips for visitors to carry them at the bottom of roaring falls. It is a vicious 52 ft high and 56 meters deep at the base of the Falls. The artificial lights give it heavenly effects and make it a perfect spot to relax and admire what nature has to offer. If you are bored of the edge walk on CN Tower and have had enough of the concrete jungle and looking to get in touch with nature, then this is a perfect spot for you to serve your desires. The park has numerous rivers, lakes and forest area, homes to diverse wildlife including moose and bears. Experiencing autumn around its vicinity is just magnificent as the wondrous autumn colours and the water systems of the park produce an ecstatic view. 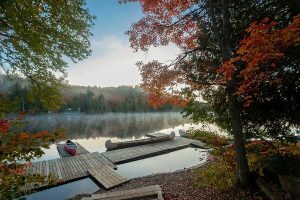 Apart from these serene places, The Ontario province celebrates more than 100 festivals throughout the year. Since we are approaching the end of the magnificent 2017, we are listing a few of the festive attractions in upcoming months that might help you to set yourself for a joyous winter. Ontario hosts the largest light festival in Canada what literally transforms the area into a wonderland with millions of lights and attractions. The festival lasts from mid-November until the end of January (Nov 18 – Jan 31). This is one of sight and must see activity around this time in Ontario. A million lights annually attract more than million visitors, and this year it’s your turn to be the part of the crowd. 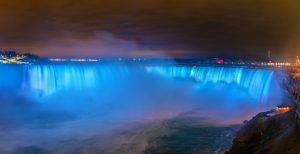 If you already have been at Niagara Falls then there is another light festival what you may find interesting. 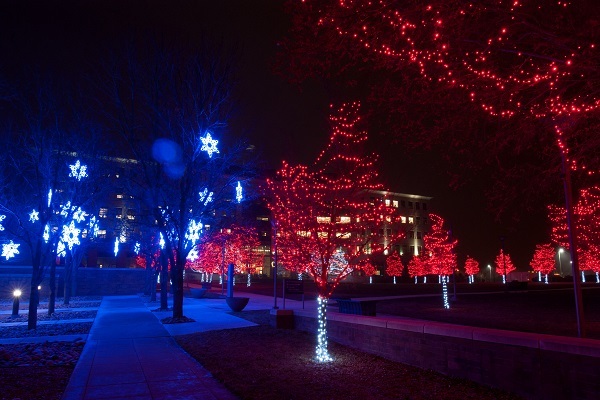 It is the tree lighting ceremony in the city of Aurora what is going to be celebrated on December 6th this year. The city municipality decorates the trees with charismatic lights to announce the start of the holiday season. The city streets host the live music and dance performances, Ice carving competitions, seasonal treats and wonderful outdoor light display. This isn’t all here, from serene nature to vibrant city attractions, if you are still not thrilled with the to do activities in this province, then why not head to a few of its Mountain ranges. What else would get you the true essence of winters apart from these mighty snow covered peaks of Ontario? 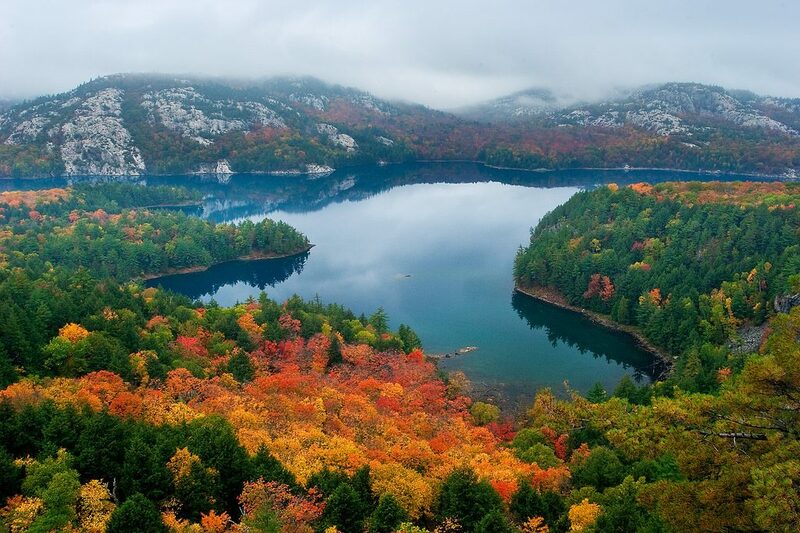 The La Cloche range lies on the Northern Ontario along with the shores of the great lake Huron. The range is highest in Ontario and believed as one of the oldest mountain ranges on Earth. The mighty hills surrounding the surreal Lake Huron is a beautiful sight and definitely has the potential to trick your brain of the colds. This mountain range has covered the province from the south and is located in the Thunder way. It consists of many mountain peaks among which Mount Mckay is the highest. It was also known as the thunder mountain and was reserved initially for sacred ceremonies only, however with the construction of the roads, the hills became reachable and now has developed as a famous tourist spot. This range is situated in the Southern Ontario along with the beautiful Algonquin Provincial Park. The Opeongo Hills in eastern Ontario is a continuation of the Laurentian Mountains which continue parallel to the north of Montreal. Indeed a Heartland province with the heart of nature, culture, festivals and much more. The Ontario province is that brilliant child in the class who does not have to prove himself and the natural talent would always make stand out in the crowd. Next story British Columbia - A Skiing & Camping Resort!